Sports bring communities together with friendly rivalry and competition, and Japanese Canadians know all about the importance of sports in their cultural identity. The Vancouver Asahi is still one of the most talked about baseball teams in Canadian history, but smaller teams have also made their mark. 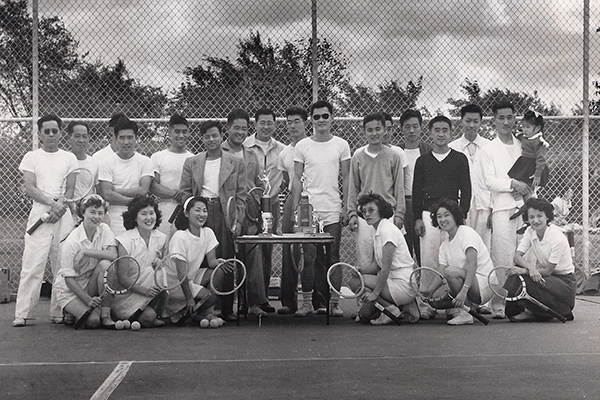 Forming in the early 1950s, the Nisei Tennis League was comprised both Vancouverites and Torontonians and brought Japanese Canadians together in a time when they couldn’t have been further apart, geographically speaking. In Toronto, Trinity Bellwoods and Earlscourt neighbourhoods each had their own respective players, but every year a Nisei Open would bring everyone together to compete. “I go back a lot with tennis, I’m a bit of a fanatic,” Stan Nishimura, a former member of the tennis league, says. Players like Matt Matsui, Mickey and Ethel Matsubayashi, Glenn Michibata; Fuzzy and Ets Fujiwara, Eddy and Agnes Tsujimoto, Terry and Evie Edinouye, the Koyanagi family, and Tom and Sue Iwasaki helped tutor younger players like Nishimura, but they also helped organize something quite special. However, on the other side of the border, a similar group had formed. 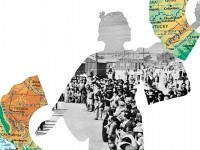 Cleveland’s Japanese American population swelled when businesses opened their arms to the experienced hands of Japanese told to move East during the internment years. Employers would send notices of employment to the War Relocation Authority and gave Japanese Americans clerical or industrial jobs. And like many of the displaced Japanese Americans and Canadians in North America, a community began to form and sports league started to coalesce. “Every year the Japanese Canadians would come to Cleveland and we would have this big tennis tournament,” Hashiguchi recalls. Both leagues knew of one another and every year was a chance to meet new people and find friends in an unlikely place. “It was a good social gathering both there and when we had it here,” Nishimura says. Unfortunately, both leagues began to lose members and no longer exist in the same way as they used to; however, many of the players still pick up their rackets and play today.